Love listening to music all over your home? 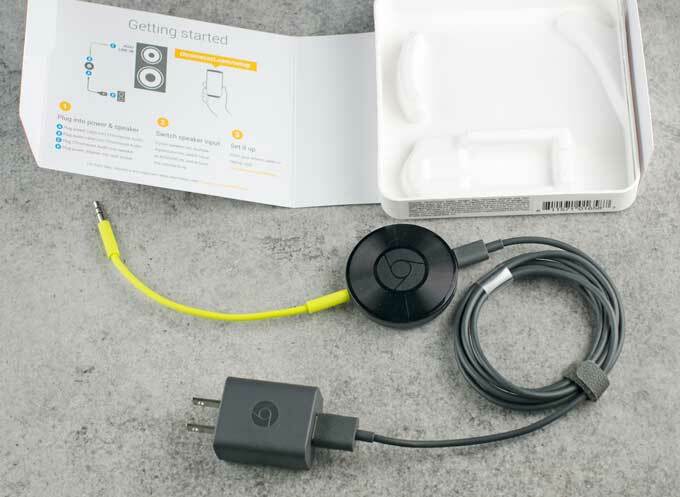 Check out our Google Chromecast Audio review to see if it’s a product you should invest in. If music didn’t exist I really don’t think I’d be able to get nearly as much done. Whether I need a bit of a pick-me-up to keep me going mentally, a good song to help me get on my feet, or something relaxing to help lull me to sleep I’m almost always listening to music. I usually listen from my phone but it tends to really drain my phone battery and I can’t always stay plugged in or I don’t always want to have to get up and go over to the stereo or speaker to change the song. So, I was very curious when I heard about the Google Chromecast Audio. 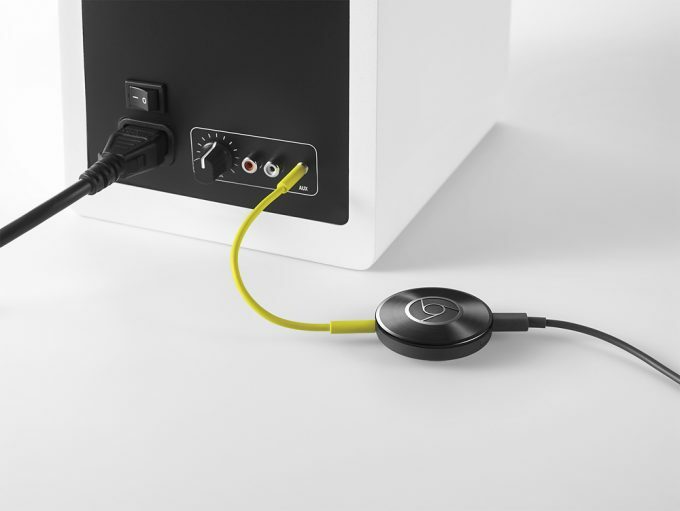 As of March 2017, the Google Chromecast Audio is available for purchase at a variety of retailers such as Best Buy for $35 each, making it quite affordable if you need multiple devices. These days you can find a number of Bluetooth speakers to stream your music to, but let’s be honest. They aren’t always the best quality. That’s why I was really eager to try the Google Chromecast Audio as it can connect to any speaker, new or old, and stream music from your phone, laptop or tablet. Since it touts using WiFi instead of Bluetooth, with the Google Chromecast Audio you can stream your music in crystal clear hi-res sound. You can still use your phone to control what you’re listening to, but you can also still text or make calls without interrupting what’s playing while also using up less of your battery. You can stream a variety of songs, but also radio stations and podcasts on a number of apps like Spotify, Pandora, YouTube Music, and Google Play Music. You can even group multiple Chromecast Audio devices together so that you can play the same music in each room simultaneously. I’ve used a number of Bluetooth speakers over the years but have always gone back to just streaming directly from my phone. Usually, the Bluetooth speakers don’t sound so great and also often randomly drop connection making them more trouble than they’re worth. But, now that I have been using the Google Chromecast Audio I haven’t had any issues. And the sound quality is SO much better since I can use a real, high-quality speaker. I like that I can easily set up multiple Google Chromecast Audios in different rooms and that they are affordable enough to be able to do so. It’s also nice to be able to control my music app from my phone (I’ve only tried it on Android) but still be able to actually use my phone as needed. 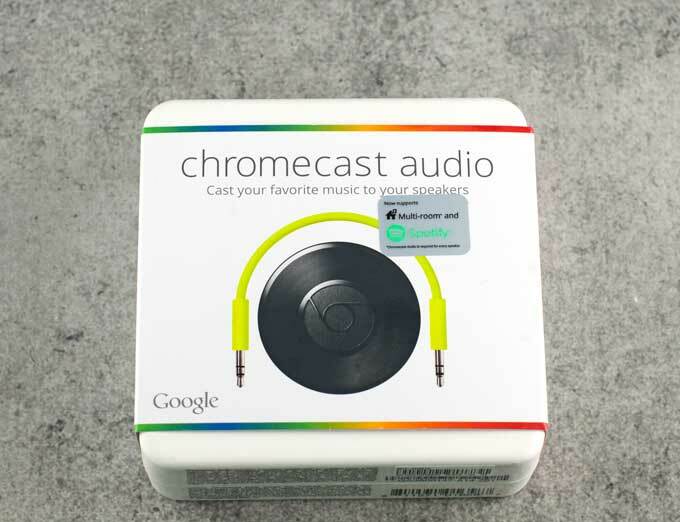 Do We Recommend The Google Chromecast Audio? Absolutely! At the price point, I think it’s a much better investment than a Bluetooth speaker. The only time I wouldn’t recommend it is if you don’t have a decent quality speaker to use it with. « What’s The Best Mop When You Have Pets?